• Shamrocks are three-leafed clovers native to Ireland. Legend has it that St. Patrick used shamrocks to illustrate the doctrine of Trinity; today many people consider shamrocks a symbol of good luck. • Leprechaun literally means “little body.” A leprechaun is an Irish fairy and is usually dressed like a shoemaker donning a crooked hat and a leather apron. It is said that the leprechaun knows where the pot o’ gold is hidden. • Green is the color of the day. The original color was blue, but in the 19th century green became the color of Ireland due to its beautiful green landscape. • The Harp is an ancient musical instrument. The instrument appears on Irish coins, the presidential flag, state seals, uniforms and official documents. • The Celtic Cross is a combination of the Christian cross and a sun; the sun being a powerful Irish symbol. St. Patrick created the cross during his time in Ireland when he was converting the Irish to Christianity. It is said that his success in conversion was due to the fact that he did not ask the Irish to shun their old beliefs (i.e sun symbol), but instead combine them with the new beliefs (i.e., Christian cross). • Erin Go Bragh, though not necessarily a symbol, is a common St. Patty’s Day phrase seen on t-shirts, buttons and other memorabilia of the day. The phrase is translated as “Ireland Forever,” and is a way to express an allegiance to the country. On this day, Irish eyes are sure to be smiling! Our questions for you are; who makes you smile? Who brings you luck? Who deserves a greeting from you today? This special person certainly deserves a top o’ the mornin’ or Happy St. Patty’s Day greeting from you. Share that greeting in a Snote! When you share a Snote, you share yourself; do so with the one that brings you luck. Soon schools will be on break. Whether your family is staying in town or traveling, the kids will require entertainment. Electronic devices definitely have the power to keep boredom at bay, but we know that parents are always on the lookout for games that not only entertain, but also require kids to use their brain – maybe even learn something new. With that in mind, here are some ideas for you! 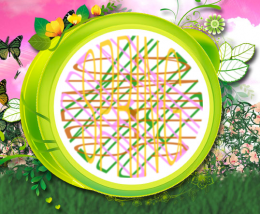 Snotes Quotes: This free game can be downloaded from iTunes or Google Play. 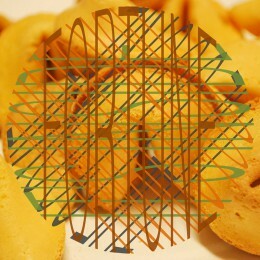 In Snotes Quotes there is a hidden message, which is read by rotating the Snote counter-clockwise. 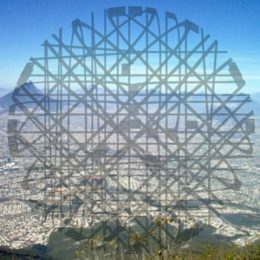 Each message features a famous quote and challenges players to guess the author. Guess quickly and correctly to earn top points; challenge friends to beat high scores. Included is an online leaderboard, where the top competitors vie for the top spots. Those that master the game will surely wish to share their scores on Facebook and Twitter! 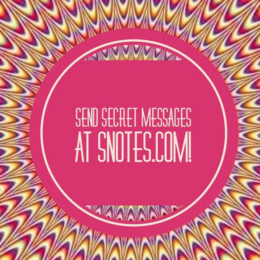 Snotes Messenger App: What kid doesn’t enjoy sharing secrets? This is yet another free offering that can be found on iTunes or Google Play. The Snotes Messenger App provides kids with a fast and fun mobile conversation! Participants type in their message and then choose a color scheme; a unique Snote is then created right before their eyes. The Snote can then be sent to a friend via Facebook, Messenger, Twitter, Email – or even better app to app – get your friends to download the app and become their Snote friend as well. Once the friend receives their secret message Snote, it can then be manipulated in order to discover the secret message hidden within. Now it’s their turn to make their own secret message and send one right back. Snotes On-Line Generator: Via a laptop or tablet, kids can take Snotes to a whole new level of design at Snotes.com. Choose from several different animated backgrounds, shapes, fonts, colors and more; there truly is something for everyone. 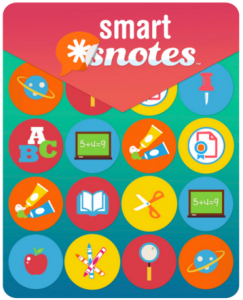 Snotes are easy to create and share and so much fun for the recipient to read! This quick tutorial is a great place to start. Snotes offers free accounts, fans will surely wish to upgrade to a premium account, for a one-time charge of only $1.99. 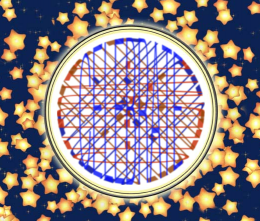 A premium account provides even more artistic flexibility, offering dozens more animations, colors and the ability to make Snote reading even more challenging by scrambling the message or using our Secret Decoder. The possibilities are endless. 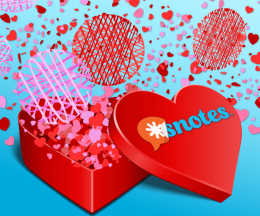 We made Snotes fun and easy, so you can make them secret and special! It seems we’ve gone crazy with days to celebrate! Just this month alone we saw National Thank a Mail Carrier Day (February 4th), National Send a Card to a Friend Day (February 7th), even National Gumdrop Day (February 15th). It may seem that our celebrating has become a bit out of control, but really, it’s so fun to have something to celebrate each and every day. It also provides a perfect reason to touch base with someone and send along an e-card! 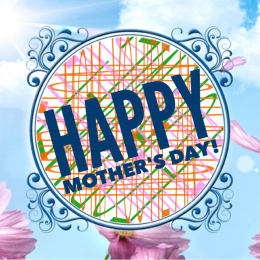 At Snotes, we make it easy to create e-cards in minutes. We provide you with a unique, fun and interesting platform from which to launch your own personalized e-cards. We offer you a free account, giving you the opportunity to play around with Snotes and see how fun it is to create and share custom messages! 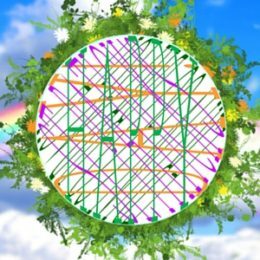 The free account includes colorful animated backgrounds, shapes, fonts and colors, so you can pick those that best illustrate and/or enhance your message. Once you have created your Snote, you have the option to send it along to the recipient via email, text, Facebook or Twitter. The first time you send along a Snote, you may also wish to share this video, which shows how to Read a Snote. For a one-time cost of $1.99, you can graduate to a Premium Account, quadrupling your choices in colors, animations and more. Before you know it, you’ll be sending along greetings every day! If you’re not sure what to celebrate, check out the National Day Calendar, which lists a plenitude of national daily and monthly celebrations. Did you know you can even register your own National Day? Check it out and do so here. Even without National Days, there truly is something to celebrate each day. Celebrate love, friendship, joy or grace. Celebrate snow, rain, sunshine or blue skies. Celebrate vacation, work accomplishments, new starts and traditional ways. Whatever you wish to celebrate you can do so with a Snote. It’s all right at your fingertips, so try it out today! Even though the history of St. Valentine’s Day and its patron saint are shrouded in mystery, what we do know is that it is a day to be celebrated with the one you love. Many will purchase buy chocolates and flowers and the like, but the most cherished and memorable part of the day may just be in the message you send to your Valentine. We suggest you think outside the heart-shaped box and surprise your sweetheart heart-felt message delivered in a Snote. Your message can profess your undying love, or be flirty or just plain fun. If you are planning to make reservations at a special restaurant for a Valentine’s Day feast, or perhaps you’ve decided to don a chef’s hat and cook up a romantic dinner, send an invitation via Snote. Our free accounts include one animated romantic theme for your February 14th love note. Premium account holders can choose from eight romantic themes – not to mention several font choices and shapes, as well as dozens of colors – let your creative side go wild. Add a love quote to your Snote. Find wonderful Valentine messages here. Check out these fun sayings – many of which could be used with one of our dozens of animated themes that go outside of the romantic themes. This page shares fun rhymes for your Valentine. Most Snotes are 4 lines long, here is a page dedicated to 4 line verses. Also, be sure to take a peek at our Pinterest page, where we share all kinds of Valentine ideas for every taste.